Does your little one love jumping and playing like a kitten? Would she feel right at home, stalking through the thick foliage of the jungle? Well, she sounds pretty cool, if you ask us! 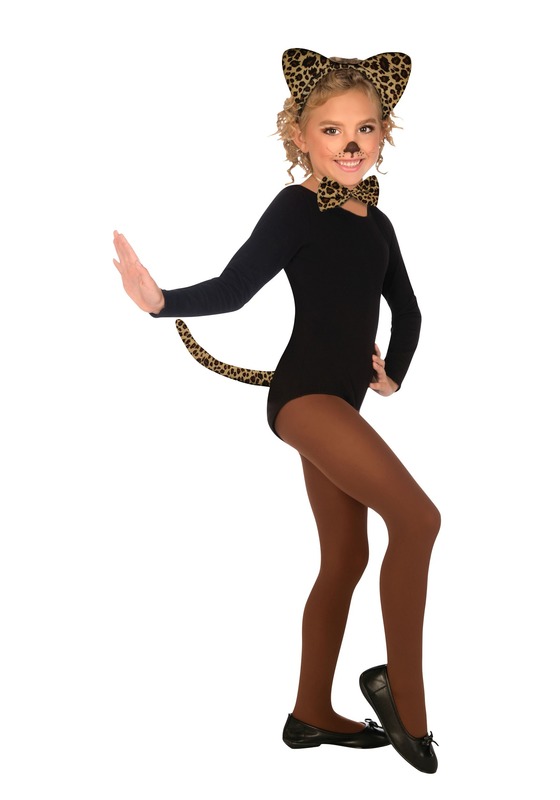 Every child with serious feline inclinations deserves a top of the line cat costume. But if your child leans towards wild rather than a housebound Persian, she'll need a set of leopard ears. This wildcat set includes a pair of ears, a bow tie that slips on with an elastic band for comfort, and a stuffed tail. These accessories are made of a smooth fabric and pair well with a variety of ensembles from dance costumes to dresses for a subtle costume during the school day. Whether your child is simply playing the part of the stalking feline at home or dressing up for trick-or-treating on Halloween, this costume set is sure to please. To make sure that your kiddo's look is complete, paint her face with cat-like whiskers. However, it's going to be up to her to work on that wild roar we've come to expect from a jungle leopard. After all, we all know that she's no house cat!